The Pandora Immo is becoming more popular in the UK due to it being the most advanced immobiliser in the UK right now. The Immo works as an immobiliser plus a anti hijack device giving 2 products in one. The device works by looking for an active ADR tag when the ignition is switched on. If no tag is found the vehicle simply won’t run giving total security. 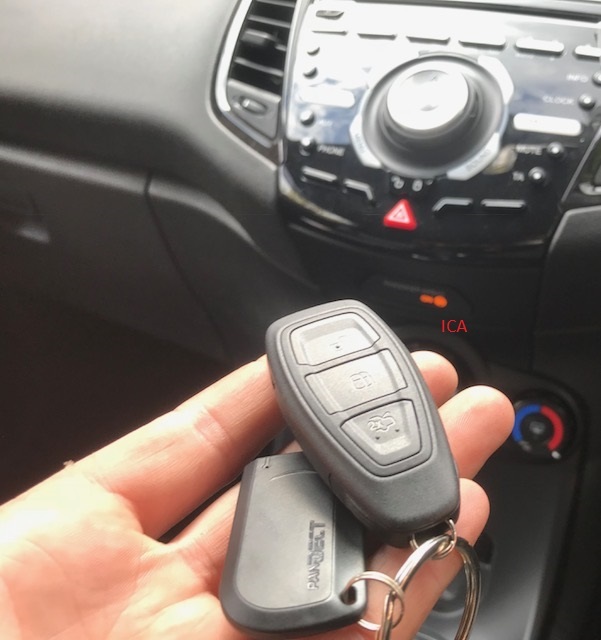 The Pandora Immo anti hi-jack works by detecting when the tag has left the vehicle and starting a count down of 30 seconds. After that time the vehicle will come to a slow stop. The Pandora Immo has a smartphone app for apple or android. Which allows you to make changes to the settings if required. A very useful feature is the ability ro see the battery life within the ADR card this is a first for ADR systems due to the tag’s not having any indication in terms of battery life. What do Pandora say about the Immo? Immobilizer Pandora Immo is a high-tech safeguard system that is intended to prevent car theft attempts and hijacking. It can be used on modern cars without damaging of original electronic systems. This system that is designed with using high-efficient integrated solutions is convenient and reliable. This immobilizer has a built-in three-coordinate accelerometer (motion sensor) that allows blocking engine when starts moving. It prevents device detection and allows for remote start and engine preheating to operate without deactivation of anti-theft immobilizer function. System’s RF tag has a smallest size among similar systems and the highest energy efficiency. ‘Proximity detection of the owner’ programmable algorithm detects either RF tag is approaching or distancing from the car, bringing anti-theft and anti-robbery function to a new level. E-mark approval ECE 116, tested and certified by TÜV SÜD. Dialog coding of control commands. Built-in integral accelerometer for determining motion. Built-in module 2,4 GHz with Bluetooth 4.2 Low Energy support. Status output to enable additional functions. Antihijack 1 and Antihijack 2.